← Your Voice is on Radio Bristol tomorrow! Your Voice on Radio Bristol! Kate Morton and Malcolm Sutton at the BBC Radio Bristol studio. 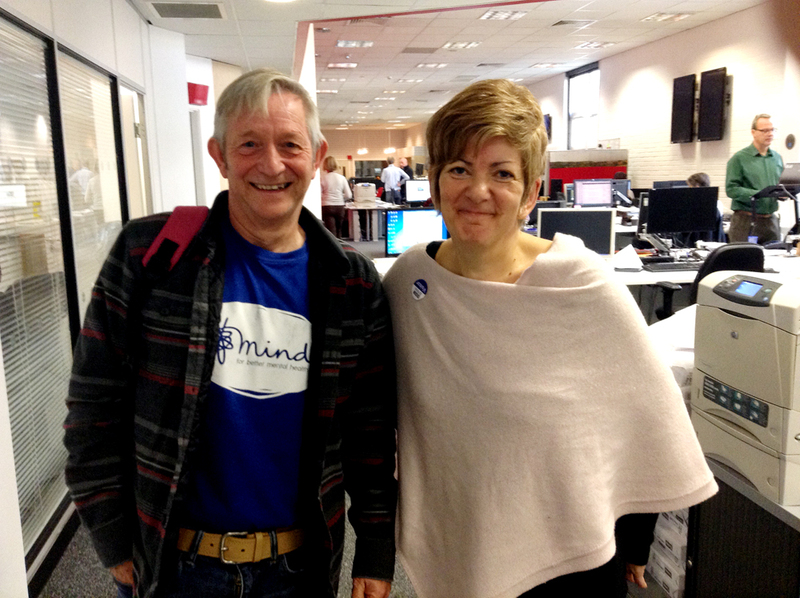 Kate Morton, CEO of Bath Mind, Malcolm Sutton from Greenlinks and Kate McDonnell, Bath Mind trustee were on BBC Radio Bristol yesterday, talking mental health and blogging. This entry was posted in News and tagged Bath Mind, blog, mental health, Radio Bristol. Bookmark the permalink.